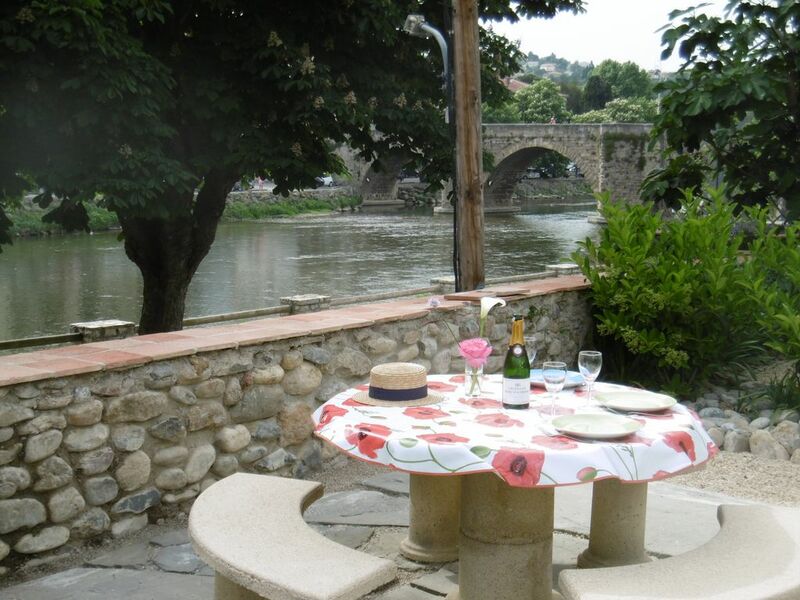 Take the elevator up 8 metres from the garage to a newly renovated apartment high above the river Aude. The bedroom windows look over the Aude, the church Saint Martin, the bridge Pont Neuf and many roof tops. From the kitchen windows, the vineyards and forests of the foothills of the Pyrenees fill the horizon. From the BBQ balcony (10 square metres) off the kitchen, everything can be seen! This apartment is designed for those looking for something special and luxurious. Air-conditioning provides a comfortable room temperature all the year round. Great in summer to avoid those "just too hot" nights and great in winter when returning from a hike, or a trip to the Truffle festival just outside Limoux (late February), or night visit to the world renown "Carnaval de Limoux" -starts in late January and continues till just before Easter. There always events happening in and around Limoux! The apartment is a former attic renovated in 2018/9 and open for guests from May 2019. It boasts a modern French kitchen, with all the whistles and bells for those interested in cooking from scratch, or just warming food purchased from gourmet caterers on the square, less than five minutes’ walk over the bridge. Eat in the dining area adjacent to the kitchen or eat outside on the balcony. The bedroom boasts a large double bed (180 cm wide) with a large bath and a separate double shower. The bath is really a mini-spa with warm jets for extra relaxation. The toilet is on-suite. Next to the elevator is a foyer-lounge area. Comfortable chairs are found here for watching TV, Netflix++, reading, or an afternoon snooze. Outside this area is another balcony high up in our citrus terrasse. This terrasse offers an inside/outside experience as an alternative to the outside balcony. Off street parking is available for 1 car in the garage. Please note that the elevator stops at both the first and second floor. The Penthouse is located on the second floor and the Classic France apartment on the first floor. Guests from both apartments have access to the lift but use codes to ensure access ONLY to their own floor.